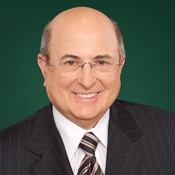 Barry Feinberg serves as Of Counsel and has more than four decades of experience as a probate and trust administration attorney. He is a founding principal of Chuhak & Tecson and led the firm’s probate practice, bringing his sensible wisdom to bear on all manner of trusts, estate planning and litigation. He is renowned for his thorough and proficient administration of guardianships on behalf of minor children and disabled adults. Barry has had numerous Illinois Appellate Court opinions published. Deeply experienced in trial and appellate courts at both state and federal levels, he also served from 1971 to 2003 as counsel to the Cook County Public Administrator’s Office. There Barry was engaged as the attorney for the Public Administrator, settling the estates of persons who died without someone to act as their administrator. Although he is a highly skilled litigator, Barry’s clients appreciate that he utilizes mediation over litigation as often as possible; mediation is easier on families. He employs litigation in the instances where it is needed. Succession planning for closely held business owners and their families is also a large part of his practice. Oftentimes, these plans contain complicated ownership transfers that include multigenerational estate plans and asset protection strategies, but Barry deftly navigates his clients through all the complexities. Barry has lectured with Cook County probate judges and even authored a probate handbook. He helped the Chicago Bar Association draft proposed legislation and has presented seminars for financial institutions and charitable groups.